The Southeastern Pennsylvania Transportation Authority will soon be selling additional SEPTA Key Cards. The transit agency announced on Friday that a limited number of Key Cards preloaded with Weekly and Monthly TransPasses will be available beginning Monday, August 1 as part of the program's next phase. Those passes can be acquired at 15th Street Station and SEPTA Headquarters at 1234 Market Street. On August 8, the agency will allow riders to reload cards at other major transit terminals. The exact number of Key Cards that will be available was not disclosed. 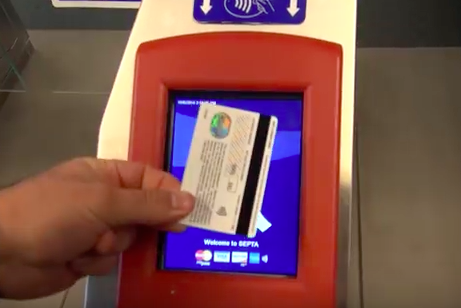 SEPTA offered 10,000 passes when it launched the Early Adopters program in June. The passes sold out by the end of the month. Riders are currently able to use SEPTA Key Cards on subway lines, buses, trolleys and the Norristown High Speed Line. Regional Rail and Paratransit will be added in a later phase. SEPTA officials indicated that early feedback would dictate how quickly the next phase of the program would be implemented. The full rollout schedule for the SEPTA Key program can be found here.